August = Late; K-Day = Great! Hurricane Hermine and other issues delayed this August update, which makes me 0 – 4 now. So, once’d again, no wacky intro. The dates for the next K-mart Collector Day and the 1-for-20 Mail-in Promo have been posted to our Calendar, so please check them out! And now … the photos! There is a curious duality to collecting: In gathering what one chooses to collect, one discovers that one must also collect something else. 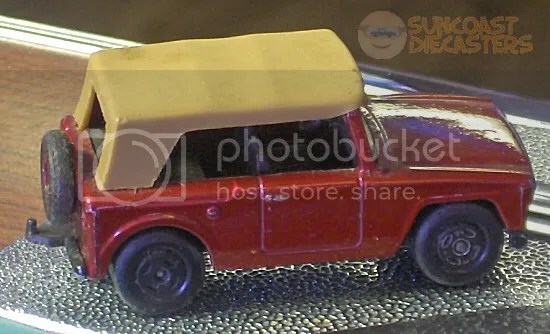 The first object can be anything (such as 1/64th-scale toy cars); the second object is always the same: storage. 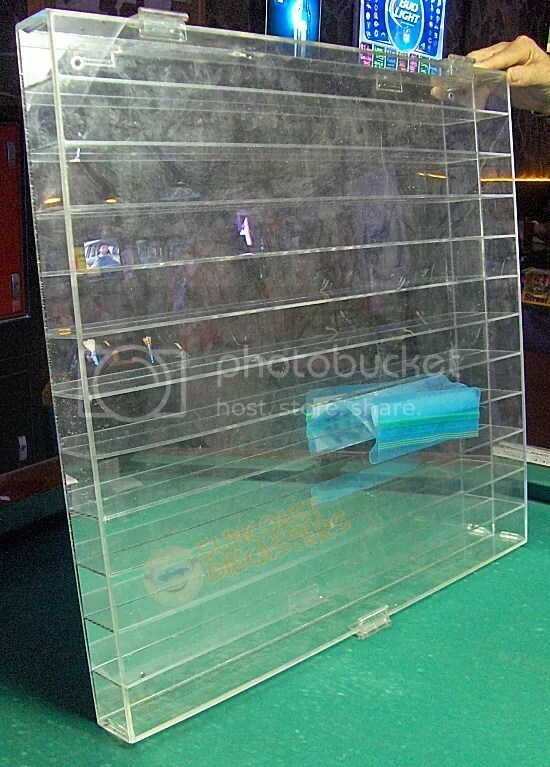 Here, Gary collects a display case from Big Tractor Mike. The blue bag contains a collection of mounting hardware. Collecting! Here, Bill has collected a “Corvette Cenrtal”-edition Split Window ’63; a Hummer; and a HW Main Street-series Dixie Challenger. Bill acquired this still-great-looking Field Car (#18). 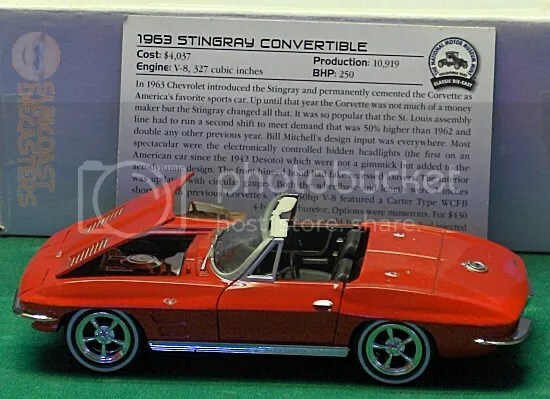 This is the ’70-’74 Superfast edition. 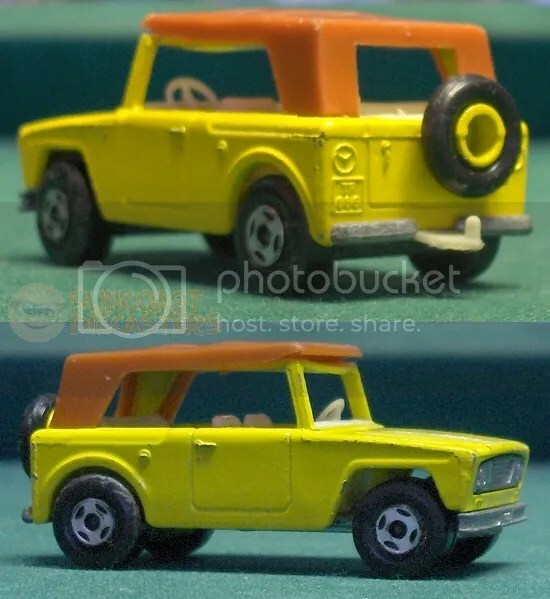 Based on the International Scout. Later, he got this red one. 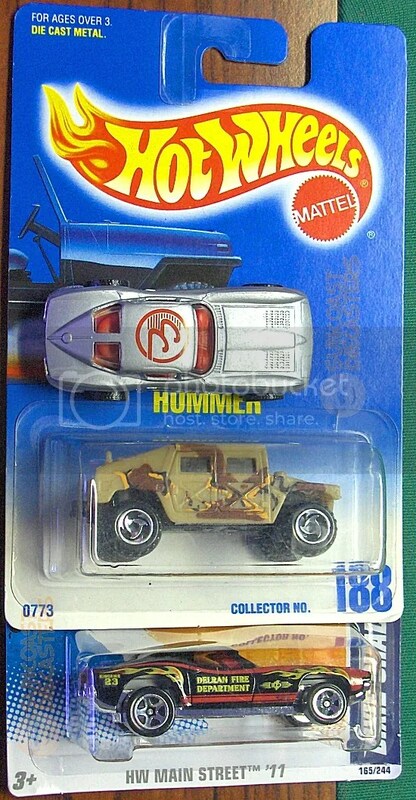 In collecting these three carded Willys models, Ken reveals his secret collecting passion: country music. 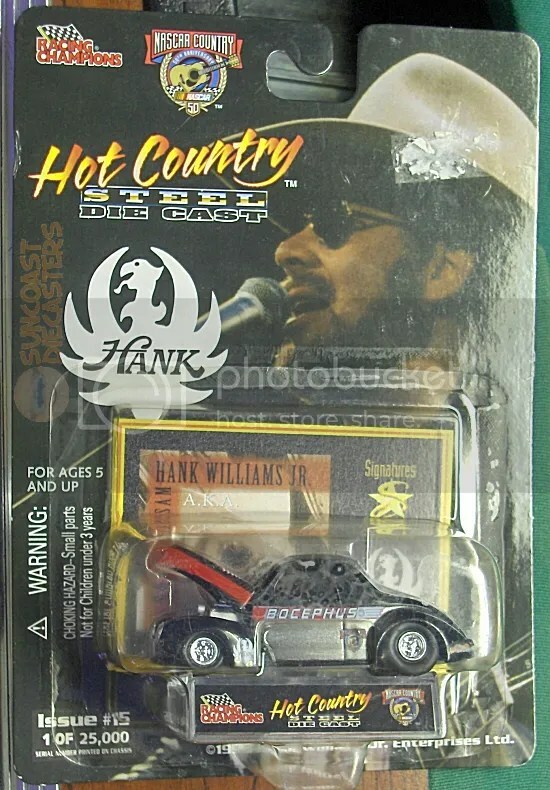 Country icon Hank Williams Jr.
Country legend Ray Earl Bobby-Joe McScruggs … Jr. 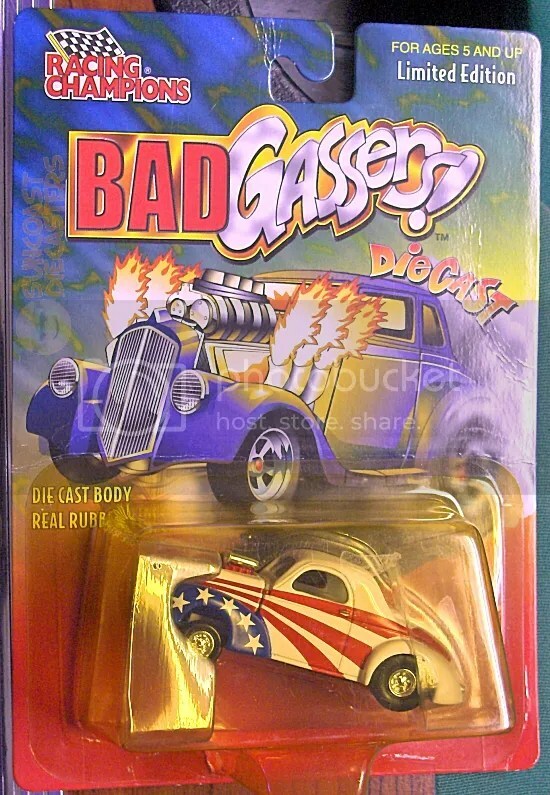 This is a great item, for two reasons. 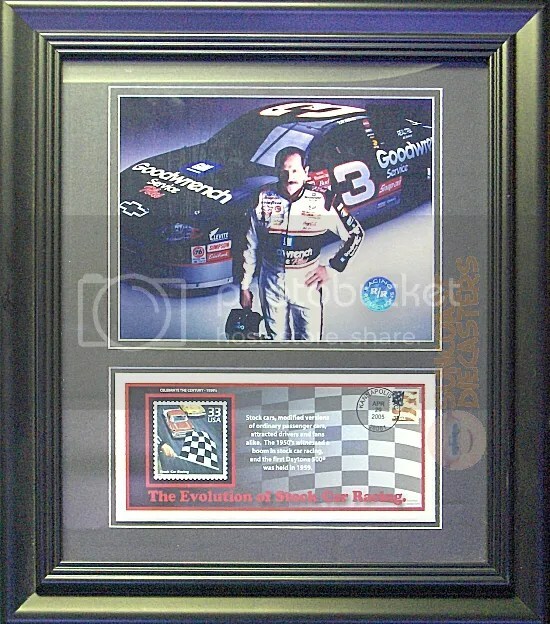 First, it’s a beautifully framed portrait photo of Dale Earnhardt Sr., accompanied by a commemorative postcard and official U.S. postage stamp celebrating stock car racing. Second, it’s a RAOK from Tom to Ken, commemorating their friendship. I had to leave the meeting early to go see another group of friends. Ergo, my time for taking photographs was abbreviated. These Corvettes purchased by Arde were among the last I shot, and I didn’t have time to take the multiple shots these beauties deserve. 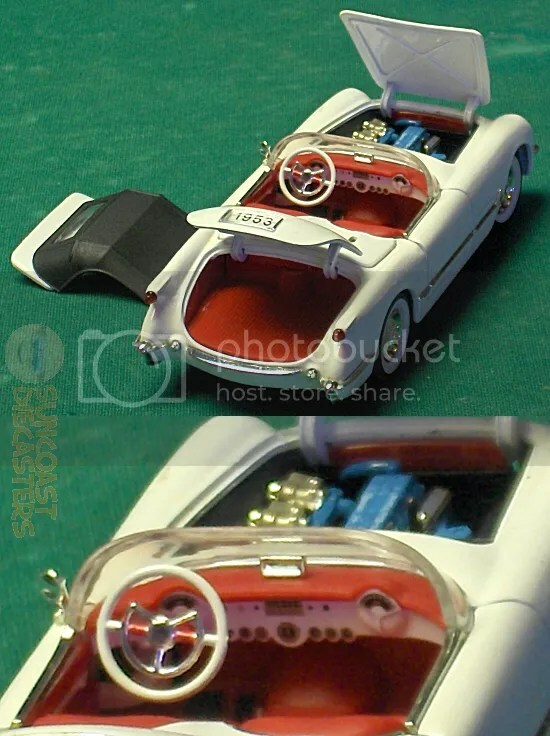 These are 1/43-scale modes with exquisite details. 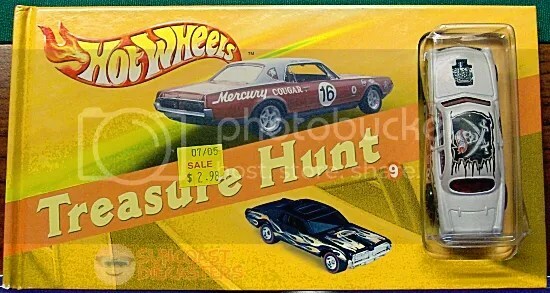 Ed had an assortment of Hot Wheels children’s books, which as you can see below featured a HW model shell-displayed at the end. Ed doesn’t remember where he got them, and the price sticker is utterly generic. Nonetheless, Arde was sufficiently intrigued to purchased this one. Aaarrgh! We captured the treasure! 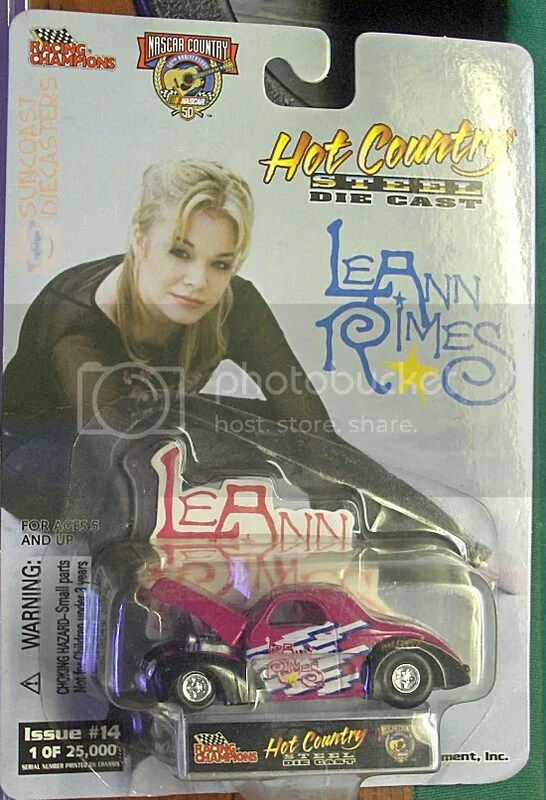 These pages feature the real Ford vehicle that Shoe Box is based on. Download yourself a little light reading.